Look no further, buy instantly. Dimension: 13 cm of length, 1.8 cm of width. 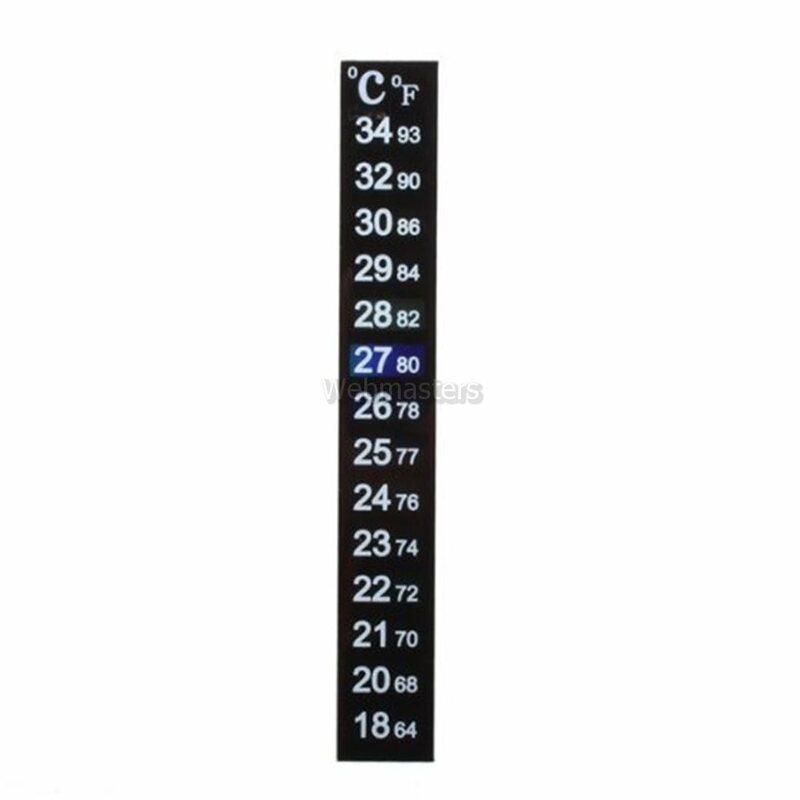 Measurement range: Celsius degree18-34°C, Fahrenheit degree 64-93°F. The thermometer changes its color according to the surrounding temperature. If the surrounding temperature is 27°C, then the background of scale mark 27°C will turn colorful and other scale marks remain black.